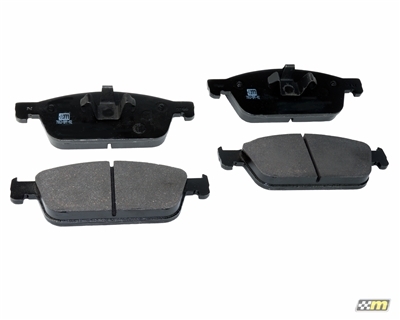 mountune RS-T High Performance Brake Pads have been developed to offer outstanding performance for not only severe road use but extended track applications as well. Engineered to our specifications exclusively by Hawk, the RS-T pad has been optimized with an extremely high coefficeint of friction that is fade resistant under repetitive heavy braking. The broad temperature range of this pad means that it can be used in a wide range of applications including high powered street cars looking for dramatically increased stopping power. These pads feature a smooth and consistent feel and bite and remain functional under the most extreme conditions. Use part number 2063-BPR-A2 for matching rear performance.